NORTH PHILADELPHIA (WPVI) -- Philadelphia police are looking for a man in connection with the shooting of a 3-year-old in North Philadelphia last week. Sirwayne Dattes, 24, of the 3600 block of N. 18th Street is wanted for violations of the Uniform Firearms Act and recklessly endangering another person. On Saturday, October 21, police responded to reports of a juvenile shot on the 3600 block of N. 18 Street. When they arrived, officers encountered a 3-year-old boy with a gunshot wound to the forehead. The officers transported the child to Temple University Hospital where he is listed in very critical condition. 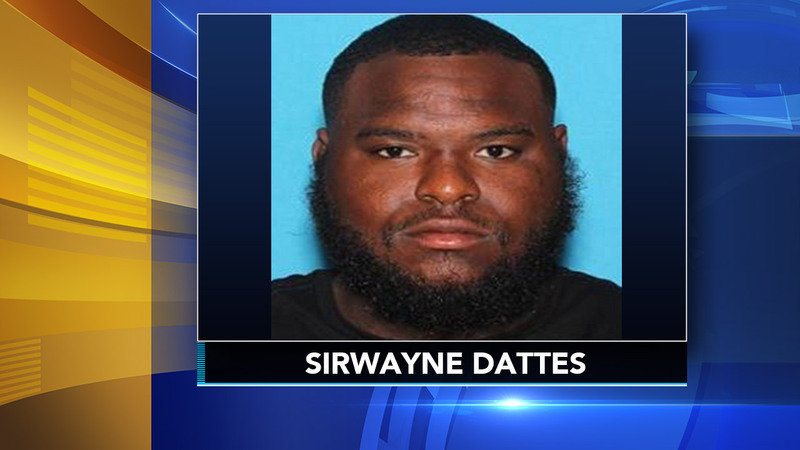 Anyone with information on the whereabouts of Sirwayne Dattes is asked to please contact Northwest Detectives at 215-686-3353 or call 911.